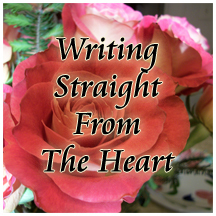 Joining Metamorphosis Monday on Susan's blog, Between Naps on the Porch. Be sure to go there to check out other home projects. 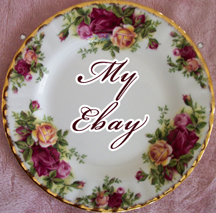 Just click http://betweennapsontheporch.blogspot.com/. It does not take a lot of money to make a small room look inviting. Thrift store and yard sale finds brighten the bathroom shown in this post. 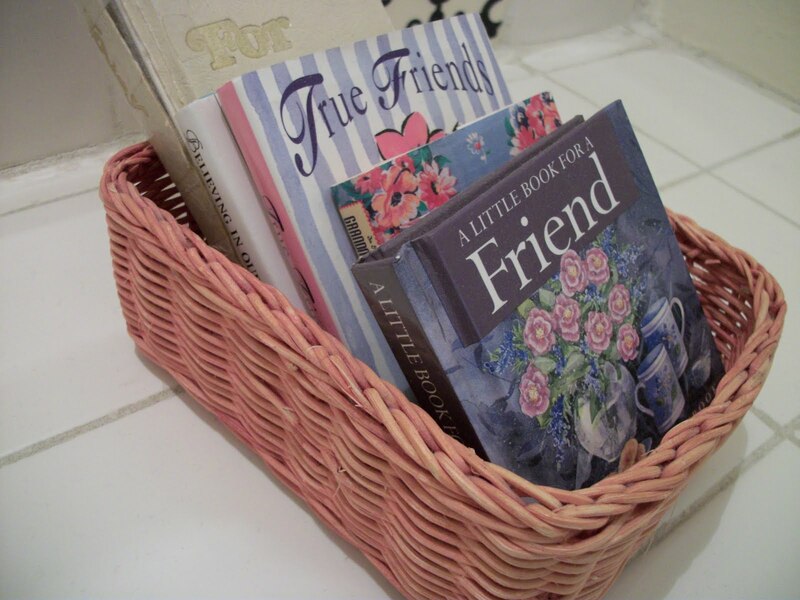 A very small pink rectangular basket, filled with petite books, sits on the counter. Surely you have seen mini books like these at yard sales for as little as 25 cents each. They really do make good readers and take up so little space. At one estate sale, there was almost nothing affordable except this rather regal looking mirror. It's actually made from plastic and cost $5.99. This sweet lacy heart with tiny pink rosebuds, made by my artist sister, decorates another wall. 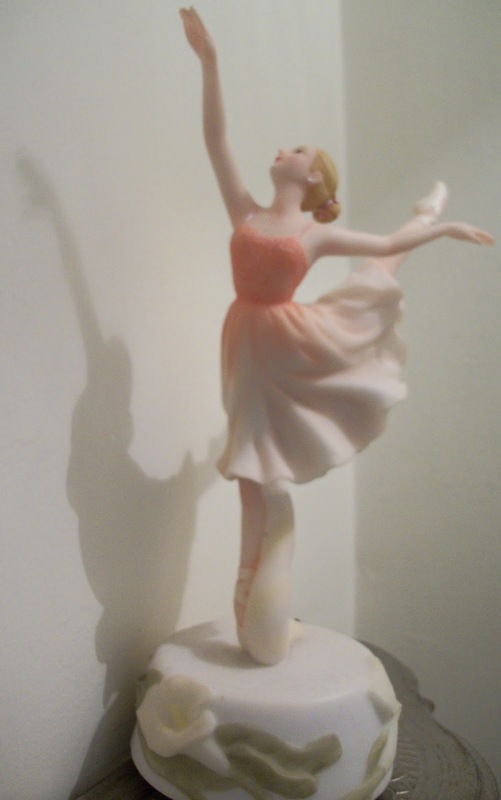 The ballerina , shown above, ( http://writingstraightfromtheheart.blogspot.com/2010/01/charm-and-grace.html) gracefully poses on a gold shelf. Her price tag was $7.99. 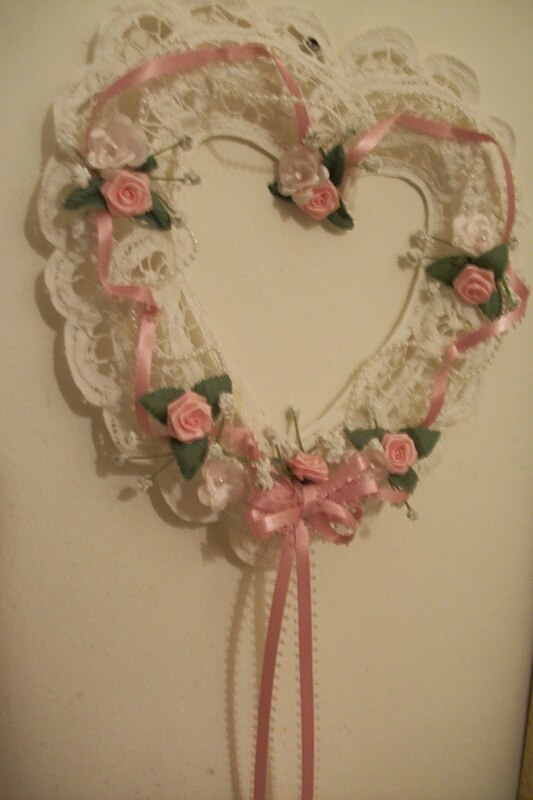 WHAT LITTLE DECORATING TOUCHES HAVE YOU USED IN YOUR OWN 'NECESSARY' ROOM? I love that picture of the little girl. Just stopping by to say hello and I hope you have a beautiful day today. Thanks for visiting my blog and leaving me inspirational messages. P.S. Thanks for stopping over at Pen and Prosper. Your support is much appreciated! 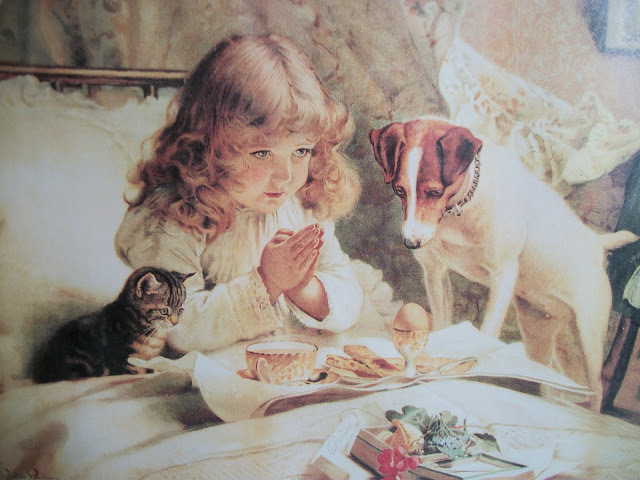 I love the picture of that pretty little girl too - and the heart! SO true - it doesn't take a lot of money to create a wonderful decor. And you are proof-nice!